Has anyone else noticed how the absolute arse has fallen out of the CD market? Stuff that I thought I’d never get the chance to own has become infinitely affordable. I won’t brag about the $14.00 copy of Green Wheels I tracked down last week (yet) but Merzbow’s back catalogue, which had been shockingly expensive has now come within reach. Last year a reader tipped me off to a guy on Discogs who was offloading his Merzbow collection pretty cheaply. I really wanted Sha Mo 3000 and Vibractance (Adam – do you want to review that one?) but I also picked up Tentacle for shits and giggles. Tentacle is one of Merzbow’s laptop recordings and in many ways it has a lot in common with the uncompromising harshness of the mid-1990’s output like Oersted and Pulse Demon. Some of the tracks are pretty short by Merzbow standards and for what is essentially a harsh noise record, pretty varied. The two tracks that worked best for me are Stormy Tuesday and Stormy Monday. Stormy Tuesday is a style of noise that I can hear reflected in the work of Russell Haswell and is a track that reveals the level of control required to make great noise. The second Stormy track is the pick of the record. What starts out like the Kakadu field recordings of KK Null’s Fertile morphs into pop Merzbow, speed metal Merzbow and all points in-between. It’s like the entirety of 1930 and Space Metalizer crammed into 26 minutes. If you find this in your travels pick it up. 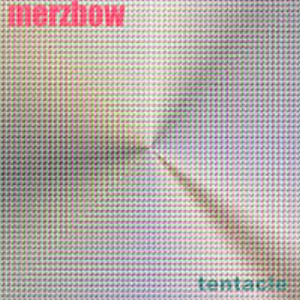 Another great Merzbow record. About a 7.5 on the harshness scale I reckon. This entry was posted on March 8, 2011 at 10:18 am and is filed under Merzbow, Music, noise with tags Merzbow, Music, noise. You can follow any responses to this entry through the RSS 2.0 feed. You can leave a response, or trackback from your own site.